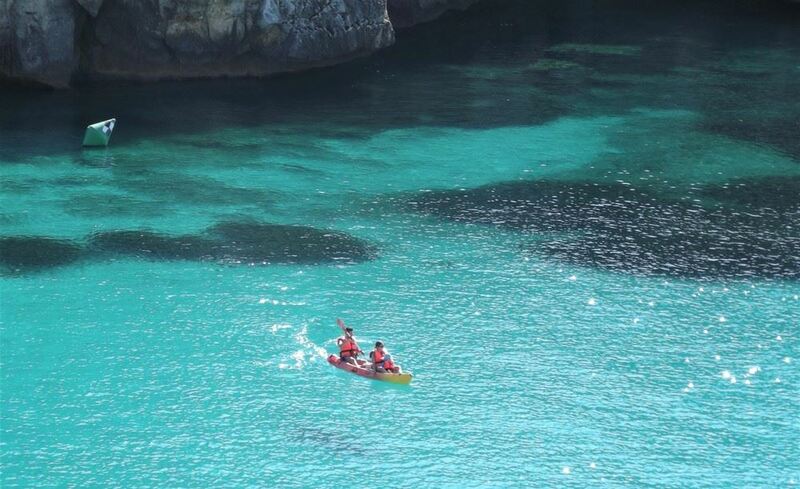 One of the most varied ways to explore the Menorcan coast is kayaking. Kayaks are very suitable because of their characteristics. You can go anywhere with them. Thanks to their lightness, it is possible to rest on any beach, which other boats cannot do. Discover a whole new world of experiences in connection with nature. Experience the bay of Fornells by kayak. Perfect activity at your own pace. Take your picnic with you and enjoy this adventure with your loved ones. You explore the shipping port, the small bays of the island, as well as neighbouring small islands. The best time for this activity is in the morning when there is no wind, or before sunset when the winds are milder.